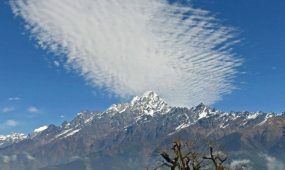 The Everest Panoramic Trek takes you to the beauty of the Everest region, it is an easy trek with awarding panoramic views. To make the trek less strenuous we plan to hike short distances which leaves us with more time to enjoy the stunning views and takes of the high altitude pressure. The Everest Panoramic Trek brings you with some sort of luxury in the rural mountain areas taking care of your luggage are our valued porters they can carry up to 20 kg up the steep mountain trails, our Sherpa guides are always with you, guiding and giving valuable information about the mountains and the various rural villages. The Everest region is also home to many Tibetian Buddhists and many Gompa’s and Monasteries can be viewed and visited along the trail. One such monastery the Tengboche monastery is especially beautiful and worth the visit. Starting The Everest Panoramic Trek from Kathmandu we take a scenic mountain flight to Lukla airport from where we will officially start the trek. 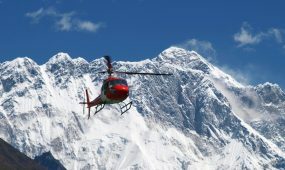 The flight gives us great Himalayan views and is said to be a unique experience in itself. After Lukla we will be heading for the biggest city of the region, Namche bazaar. Home to the mighty Sherpa people this city will offer internet, various souvenir shops and some luxury hotels. From Namche we take the trail towards Everest passing various villages such as Phakding and our end destination Tengboche, from where we can get some of the best panoramic views of Everest. Day 03: Phakding-Namche Bazaar (3440m/11286ft) – walking 5:30 hours. After you reach Kathmandu, our representative ( Nepal Guide Info Team ) will welcome you and he/she will drop you at the hotel so that you can relax and take rest in the hotel. We’ll discuss the trek late in the evening. Overnight at the hotel. The next day, early in the morning after having breakfast, we’ll take a domestic flight in order to fly to Lukla. It takes around 35 to 40 minutes. Your flight lead you to views some memorable joined countryside and river valley below. 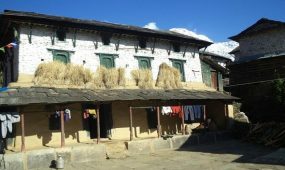 Trek begins from Lukla,around 3 hours you need to walk to reach Pakding.You will pass large lovely village Chaunrikharaka along with some small village including some close perspective of the world highest Mountains. There you will see one KusumDrargka, a large stream and crosses the DudhKosi River at Phakding. You will stay overnight in the famous guest house at Pakding. After an early breakfast, our trek continues towards the blue pine forest which takes you to the Chumoa and Monjo Village with beautiful MonjoKhola. 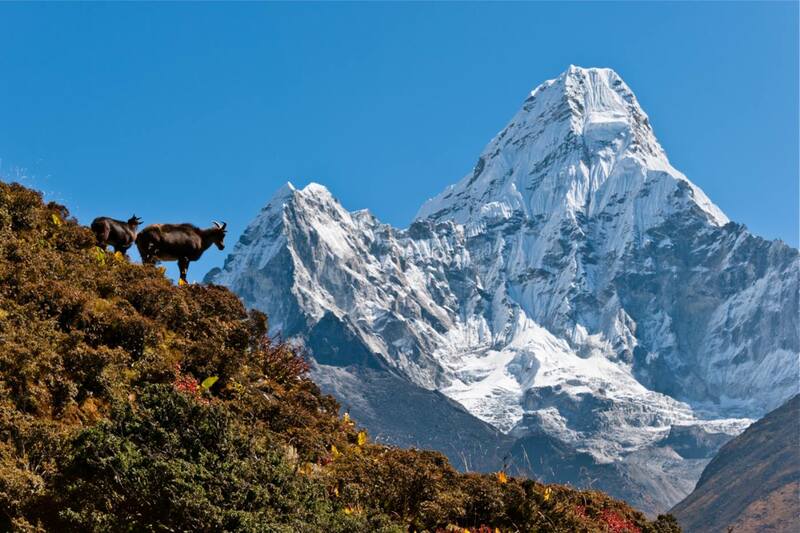 Further walking, you’ll reach to Khumbu region across the route of DudhKoshi at Jorsale. You’ll finally reach to Phakkdingand then to Namche Bazaar after crossing rhododendron forest with unimaginable views of riverside. Overnight in Namche bazaar. In this day, early in the morning after having breakfast, you will trek around 5 hours to explore the Namche Bazaar. Namche Bazaar is known as the gateway to Everest trek.It is a very famous place for proper glimpse of Mt. 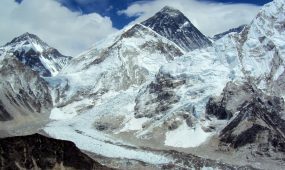 Everest and all Himalayan ranges as well as wonderful sunrise and sunset, not only that it is also famous for a local museum. You will hike up the Syangboche airport have a wonderful Everest view and sunrise, including largest Sherpa village called Khumjungg, which is situated at the altitude of 3800m/ 466ft. After a few hours back to the hotel you will take some rest. Then in the evening, you will enjoy the beauty of Namche quaint village and lively markets, where you will get unimaginable hospitality from the local people. Then you will visit the local museum and in the museum, you will get chances to see native’s flora and fauna as well as about the history of Mt. Everest. 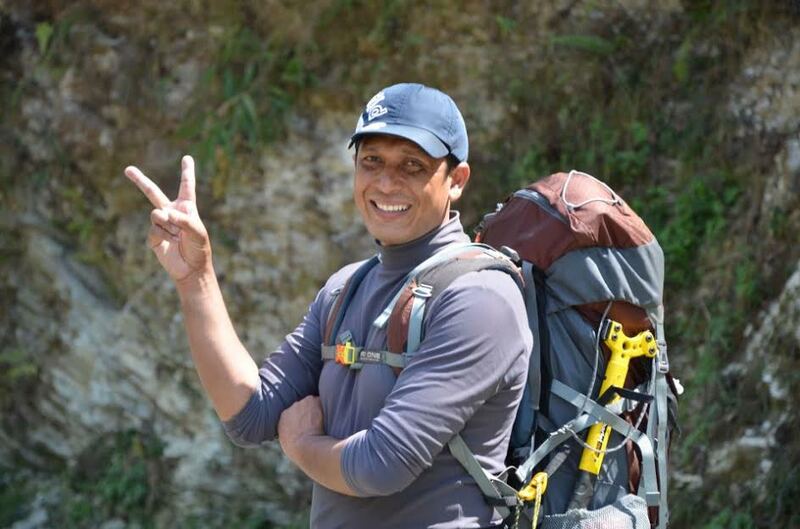 In this day, the trek destination is towardsTengboche, which is situated at the elevation of the 3,857m. Tengboche is a famous place for traditional Tibet Buddhist monasteries with Sherpa religion and lots monks as well. You will trek down towards the river at PhunkiThankha and have lunch then you will trek short upward to Tengboche Monasteries. During your journey you will have remarkable views of Mt. Everest, Nuptse, Lhotse, Cholatse, Kantaiga, AmaDablam and Thamserku. You will stay overnight in the guest house at Tengboche. 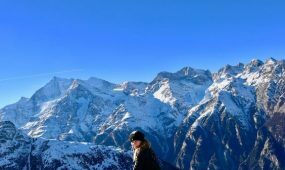 In this day,you’ll return back to Namche Bazar and finally again you will view wonderful Everest and all Himalayan range including sunrise and sunset. Overnight in Namche Bazaar. 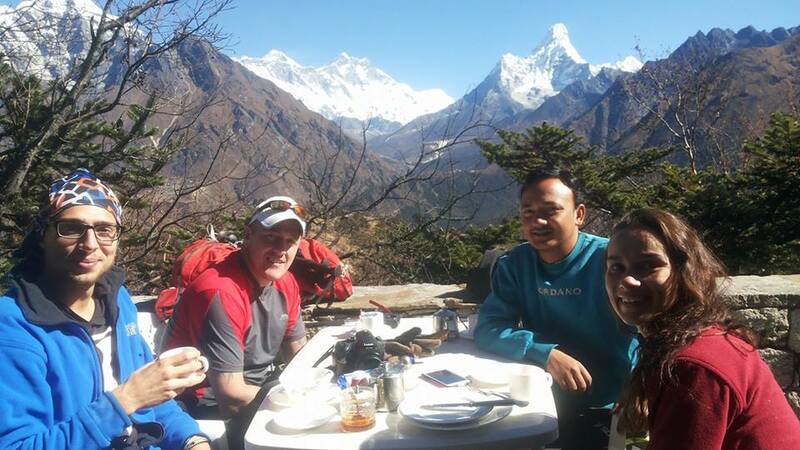 Next morning, after having breakfast, we’ll return back to Luklaafter exploring Namche Bazaar and enjoy the close stunning viewpoint of the world highest mountains for the last time. Overnight in the Likla. 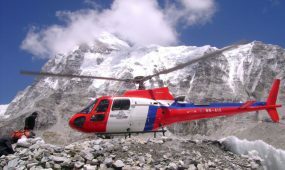 The next day, early in the morning, you will head towards Kathmandu through the flight.it takes around 35 minutes, within 35 minutes you will view panoramic Himalayan range and Mt. Everest for the last time. After you reached at the Kathmandu airport, you will be taken back to hotel for the rest and recall all the memories which you were captured in your cameras. Then overnight you will stay in the same hotel. Now finally in the 9th day, it is time to say goodbye and Nepal Guide info team will drop you to the Kathmandu International Airport from where you will take a flight back to your home keeping all the experiences in Nepal.